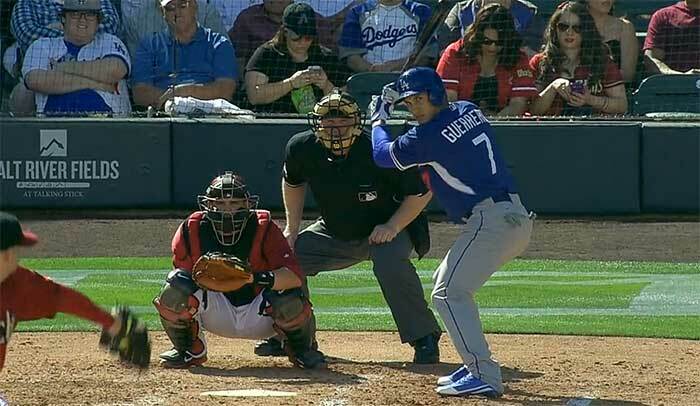 With his ear saved, Alex Guerrero set to return, but will he be in form? Alex Guerrero‘s status is always a popular inquiry on Twitter or via e-mail, so everybody should be happy to hear that Guerrero’s ear has been saved and he’s set to return to baseball activities soon, according to his agent Scott Boras. In the story by Jon Heyman, Boras also shed light on exactly what the procedure was on the ear and why it took five weeks to recover from. Boras further said Guerrero, a bonus baby who was red hot when the dugout incident caused him to be sidelined five weeks ago, was planning to report to the Dodgers’ camp in Arizona, and Dodgers general manager Ned Colletti confirmed that Guerrero can starting working out soon. The ear piece was recovered, and doctors reattached it surgically. After the surgery, Guerrero remained near the UCLA Medical Center, where he’d report every day for a two-to-three hour stay in a hyperbaric chamber, where increased oxygen increases healing. The good news? Guerrero’s ear has been saved and he can resume baseball activities soon. Also, Miguel Olivo is now gone from the Dodgers (and probably baseball) forever. The bad news? Guerrero was red hot when the incident went down (.376/.417/.735/1.152) and with the injuries that have occured since, he’s probably missed two recalls already. In even worse timing, he’s returning around the time Juan Uribe is and will probably be stuck at AAA again. Also, I don’t think Guerrero has done much physical activity to keep himself in baseball form, as his ear needed time to heal properly and sweat wasn’t a part of that plan. So a legitimate concern is how Guerrero will have to start over and regain the form and timing he lost, which could take a while. Perhaps most importantly though, Guerrero lost five weeks of learning at second and short, so any defensive progress has remained stagnant or regressed. 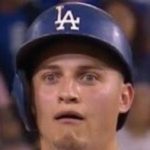 So yes, Guerrero’s back, but Olivo’s savagery has already cost the Dodgers a lot, and there’s no telling if Guerrero will be able to pick up where he left off. Hopefully he finds his form again soon, because the Dodgers’ recent lineups are a testament to how they need the infield depth he provided. Next Who Gets Cut When Juan Uribe Is Activated?